Finally: A Stylish Pan For All Your Sauteing Needs! The pan has a capacity of 1.6 liter / 1.7 quarts and measures 20cm / 8 inches. The Mauviel saute pan is a 2-in-1 cookware piece that can be used for both cooking and serving on the table. The multi-ply 18/10 stainless steel preserves the taste and nutritional qualities of the foods. 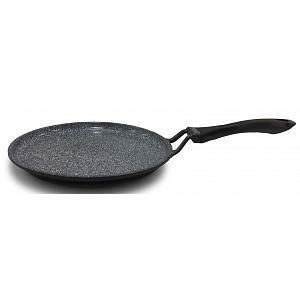 The Mauviel saute pan is easy to clean and has a non-drip rim edge that allows for easy pouring. 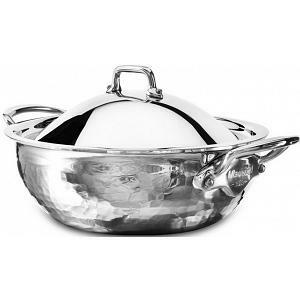 The saute pan has a lifetime warranty and was proudly made in France. Check below for a larger size.